Hudson Street Press, 9781594631382, 270pp. "The additive that flows under the radar"
The most popular drug in America is a white powder. No, not that powder. This is caffeine in its most essential state. And "Caffeinated "reveals the little-known truth about this addictive, largely unregulated drug found in coffee, energy drinks, teas, colas, chocolate, and even pain relievers. We ll learn why caffeine has such a powerful effect on everything from boosting our mood to improving our athletic performance as well as how and why brands such as Coca-Cola have ducked regulatory efforts for decades. We learn the differences in the various ways caffeine is delivered to the body, how it is quietly used to reinforce our buying patterns, and how it can play a role in promoting surprising health problems like obesity and anxiety. Drawing on the latest research, "Caffeinated "brings us the inside perspective at the additive that "Salt Sugar Fat "overlooked. 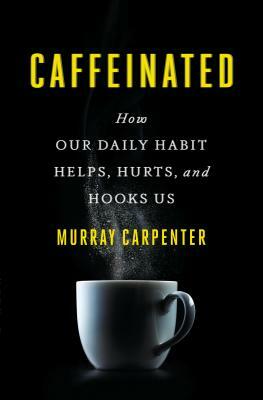 MURRAY CARPENTER has reported caffeine-related stories for the "New York Times," "Wired," "National Geographic, " NPR, and PRI s "The World." He has also written for the "Boston Globe," the "Christian Science Monitor" and other media outlets. He holds a degree in psychology from the University of Colorado and an MS in Environmental Studies from the University of Montana, and has worked as a medical lab assistant in Ohio, a cowboy in Colombia, a farmhand in Virginia, and an oil-exploring juggie in Wyoming. He lives in Belfast, Maine.